Iran and Lebanon: From Fake News to Real War? In the last few days, both Israel and Lebanon’s Hezbollah movement exchanged threats, reviving the specter of another Israeli invasion of Lebanon. Even the Western mainstream media admits the root cause of the tension could be Mr. Trump’s threats to garbage the nuclear agreement with Iran, Hezbollah’s longtime supporter. No one could take the ensuing threats more seriously than the people in Lebanon. Lebanon has faced war so many times that the people here regard the black dog almost as an old friend, such is their despondency when faced with it once again. After the official end of the civil war in 1989, Lebanon survived several bombing campaigns by Israel (the biggest one in 2006, which decimated the country’s infrastructure for years to come). Now Lebanon is home to 1.5 million refugees from neighboring Syria, becoming the most densely populated “refugees’ safe haven” in the world. In this situation, it is natural that the militant group Hezbollah, which was born as a response to the Israeli occupation in 1982 and which helps the Syrian government to fend off the Islamic State’s extremists – it is natural that this group enjoys some popularity in Lebanon. Hezbollah also has a strong faction in the Lebanese parliament, and the group’s charity work is visible everywhere. Unfortunately, it is not visible to the American government which continues to view Hezbollah through the prism of hostility, as if Hezbollah’s leader Hassan Nasrallah continued to shout ‘Death to Americans!” – despite these slogans having been dropped by Hezbollah decades ago. Unfortunately, US media has a great capacity of preserving cold war stereotypes in the Americans’ minds, and the bearded mullahs urging people to hate America – this is what Israel and the Trump camp would have dearly wanted to see from both Lebanon and Iran. These images would correspond with Israel’s (and Trump’s) usual disingenuous narrative about these countries. Just days ago, Trump tightened the sanctions against Iran, promising to tear up the agreement between Iran and its Western foes, an agreement which Russia helped to reach. (Moscow already made a statement that it wants the agreement to stay). Few American journalists even try to question this narrative, which states that Iran and its proxies are THE MAIN threat to stability because of their "terrorist" activities. 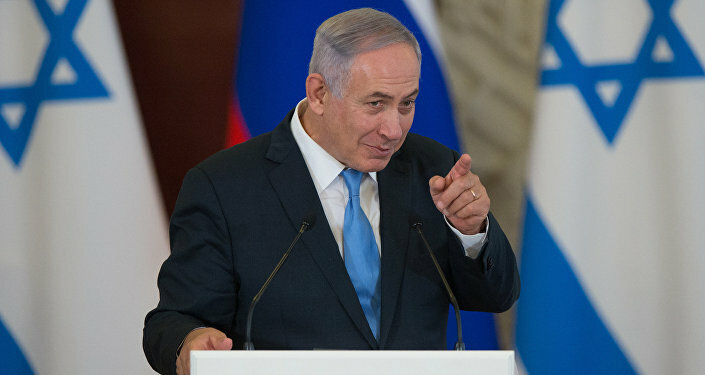 Israel’s prime minister Benjamin Netanyahu this week reiterated this position calling Iran the source of 80 percent of Israel’s security problems. Trump blasts media in the US for 'fake news' but incredulously his own team continues to feed journalists with a skewered mindset of ‘alternative facts’ about the Middle East which is not only out of date, but which is factually inaccurate at best and a shameful lie at worst. Since its Islamic revolution of 1979, Iran has not invaded neighboring countries or bombed any of the countries which are its enemy. Its proxy in Lebanon, Hezbollah is tarnished by events that happened more than 30 years ago — the bombings of American servicemen in Beirut in the times of the Lebanese civil war. In the meantime, the US and some of its allies in the EU managed to invade together at least three sovereign countries (Iraq, Afghanistan and Libya). The number of people killed during these wars is HUNDREDS OF TIMES bigger than the number of American soldiers killed by Hezbollah in Lebanon. In fact, it is seldom reported that Iran and Hezbollah are doing most of the fighting to destroy Daesh in Iraq and Syria while US soldiers keep a safe distance from the scrap. And then there is al-Qaeda and Daesh in the region. Do American journalists simply not know who was funding those groups, certainly at the start of the war in Syria? Or is it that they prefer the manufactured consent of keeping that inconvenient truth far from the weary public which once believed in the freedom of the fourth estate? Terror groups — both Daesh and al-Qaeda — but also other groups which align themselves with them have been more or less been defeated in Syria because of Iran and Hezbollah. It might not sit comfortably with Trump and his adviser Steve Bannon in DC. Why? Because this inconvenient truth, if told to humble Americans, would hinder his present plans to threaten Iran with war – continuously and with impunity. Alas, journalists in the US are getting younger and less professional by the day. They create the real vortex of fake news: they look like personalities of the media who lock themselves into their own echo chambers and refuse to listen to facts when presented with them. I'm not a fan of Iran. But I don't believe for one moment the country is a threat to its neighbors. All it wants is to prosper and get on with building its economy. A recent article by the New York Times correspondent in Tehran is worth reading. The writer points out that most Iranians don't want war with the US or Israel but also are afraid that in the madness of this fake news war their country could just incidentally slip into a major confrontation. Meanwhile, the same journal's OpEd editor publishes the worst piece of cliche-packed baloney on the Assad government that I have ever read. Call centre journalism by two armchair geopolitical experts from academia whose 'information' might as well have been provided to them by Clinton's 'regime change' fanatics. Garbage which really shouldn't have made it into print in the first place and was two years out of date anyway. But this disinformation is worrying. We are living in troubled times with a US president who is perhaps not mad, but certainly narcissistic on a worrying scale, capable of anything just to get a few headlines. The Iranians don't want war. And neither does Hezbollah in Lebanon. In fact, the more I listen to Nasrallah, the more I'm impressed by him. His recent speech made a lot of sense and he came across as the only rational player in this game. Unlike Trump and Netanyahu, the Shiite leader takes a pragmatic and intelligent approach to what is happening which merely confirms what I have always believed: the American people and the West in general is being sold a lie once again about a "threat" in the Middle East. Nasrallah: Vendicated by the Past? Remember 'weapons of mass destruction' and the western leaders, including Blair, who signed up to sexed up intel about Saddam? Nasrallah points out an irony in the Iran so-called "threat" though which is hard to ignore: he said in his speech that it is Israel's — not Iran's — nuclear program which is the real threat and will be the ultimate downfall of Israel. But he also points out that for the first time ever, a massive defensive wall is being built by the Israelis on their border with Lebanon and that ammonia stocks in Haifa have recently been moved so as to not present Hezbollah with a sitting duck target. "For Israel, the political circumstances to wage a war against Lebanon are always there, due to an Arab cover that let Israel attack Lebanon in 2006, and these circumstances are stronger now" he says. "As for the nuclear power in Israel that threatens the whole region…we are turning it to a threat on Israel itself", adds the Hezbollah leader. The problem with fake news is that it generates fake news threats and ultimately war. Trump's churlish and feeble attack on fake news is insincere and a sham. His logic is as perverse as the dog owner who chastises others for being cruel to his animal: "Only I'm allowed to beat my own dog" is the sullied rationale. Trump does not hate fake news. He just hates it when it doesn't work his way. What we are seeing in the Middle East is fake news which is not being questioned by US media and it is escalating rapidly towards a war once again. Both Trump and Netanyahu are really the only threat to peace in the Middle East and need a war with Iran and Hezbollah to nourish their own political objectives and they will be supported by Gulf Arabs who are sore losers in the Syrian War who only want to settle the score. It seems though that they have got their information about Hezbollah in Lebanon wildly wrong for the second time in ten years or they are believing their own fake news.